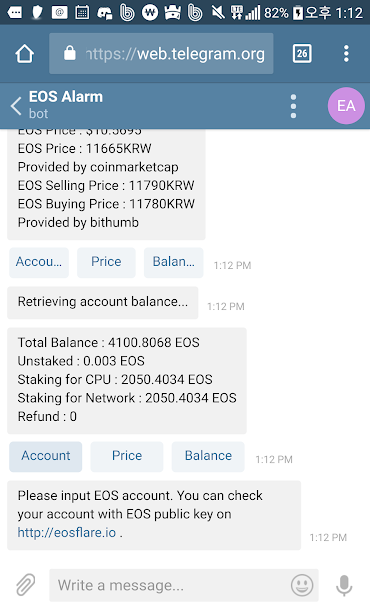 Introduction of "EOS Alert Bot"
This is originally developed by my own needs, "I want to know any actions on my account very easily". Because for checking account actions changes, going some website maybe troublesome. Assuming hacker change my private key, unstake EOS from CPU or Bandwidth. After 3 days later, he or she can transfer all EOS to his account. To prevent this, I may visit a certain website to check my account history. This is really tiresome. 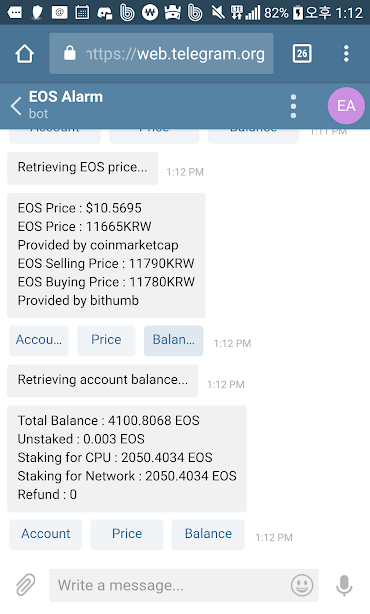 So I developed this telegram bot to notify significant changes on my EOS account. Go to telegram bot "https://t.me/EOSAlarmEBot" This English version and "https://t.me/EOSAlarmBot" is Korean version. Then you can use it freely. Touch "Price" button, then you can see EOS price from coinmarketcap. Touch "Balance" button, then you can see your balance with detail information(Total balance, unstaked, statking, and Refund). In here, refund meant "on refunding from staking to unstaking". So you can check what happen in your account. 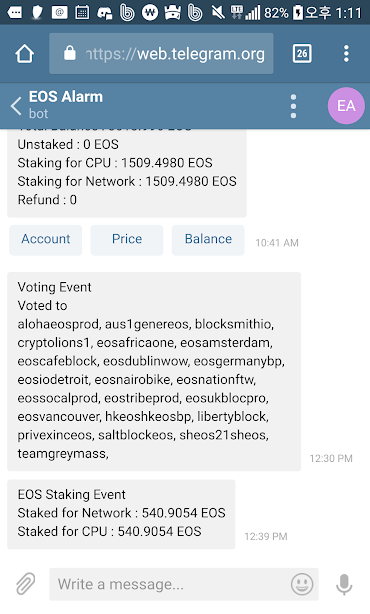 Also if you vote some BPs or If you stake EOS or if you unstake EOS, then this will alert you as a new message. If you have any feedback or opinion, please do not hesitate to contact me or please leave a reply comment in this article. Please support eoscafeblock, EOS.Cafe Korea to create this kind of tools to enrich EOS ecosystem through voting. Special thanks to Syed, EOS Cafe Calgary, Troi Bryan, EOS.Cafe DAC. This is awesome. I was thinking about such a tool few days ago :) well done! Thanks for your positive comment. 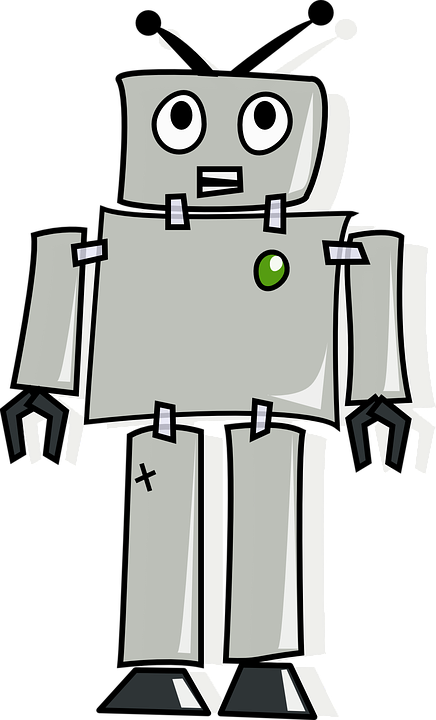 I will add more functions to this bot. Please give me feedback when you experience difficulty on using this bot. Upvoted & resteemed this posting!! @javierjmc님께서 이 포스팅에 많은 관심을 가지고 있어요. 리스팀을 해주셨군요~!